Ohh my gosh you guys. I’m so excited to be sharing this with you. 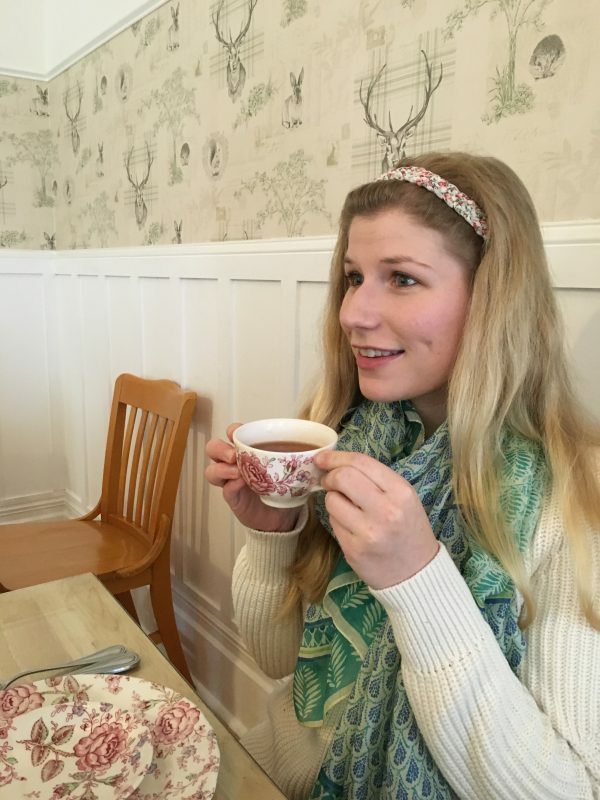 I love toffee. Easily one of my favorite candies!! 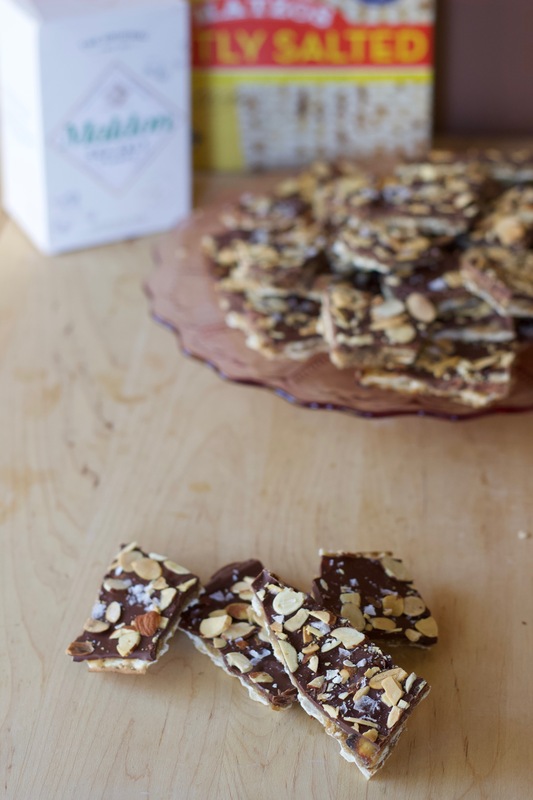 And this Matzo Toffee is a totally fun spin on the classic. 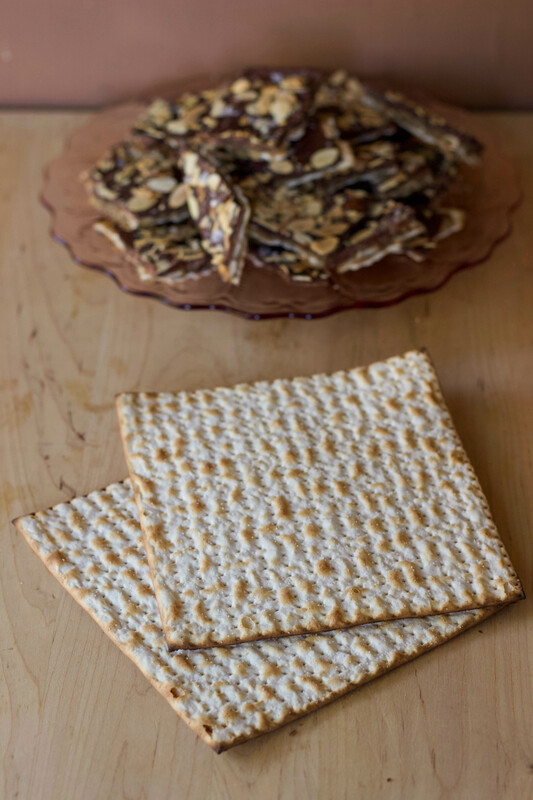 Matzo is an unleavened bread, or cracker really, that is traditionally eaten at Passover. It’s crispy and salty. I grew up eating it all the time with cream cheese and a sprinkle of salt (Still one of my go-to snacks). With Passover this week, I thought it was pretty appropriate to show y’all this tasty treat! There’s so much texture going on here. 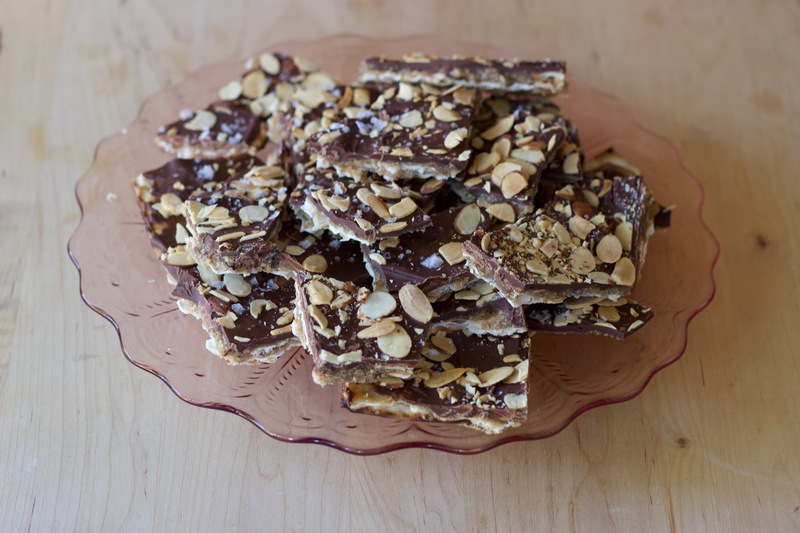 You’ve got all the usual English Toffee friends: Crispy almonds, flaky sea salt, sweet brown sugar toffee. 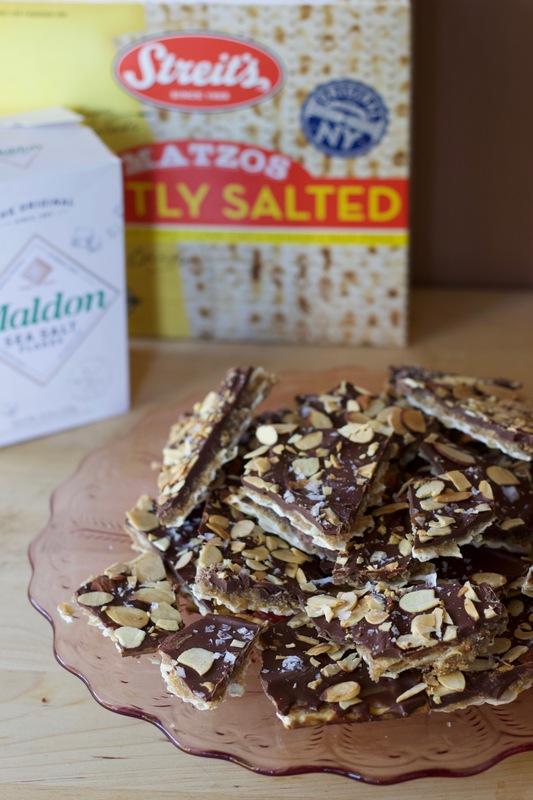 The crunchy Matzo gives it just a little something extra with this delicious toasty flavor from being baked at a high temperature (traditionally in a brick oven). YUM. This recipe makes quite a lot so you can definitely share it at sizable gathering. Preheat the oven to 250 degrees. Line a baking sheet with parchment, and lay out the Matzo crackers in an even layer (you’ll have to break some up a bit for it to fit flat). Preheat the oven to In a medium saucepan, melt the butter on medium heat. Add the brown sugar, and stir until it dissolves entirely. Keep cooking just until the mixture starts to bubble. 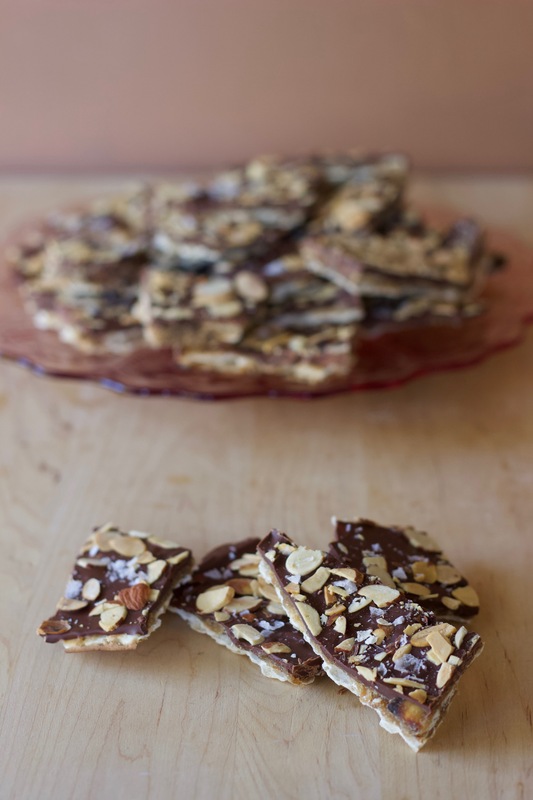 Carefully pour the toffee over the crackers and use a spatula to spread over evenly. 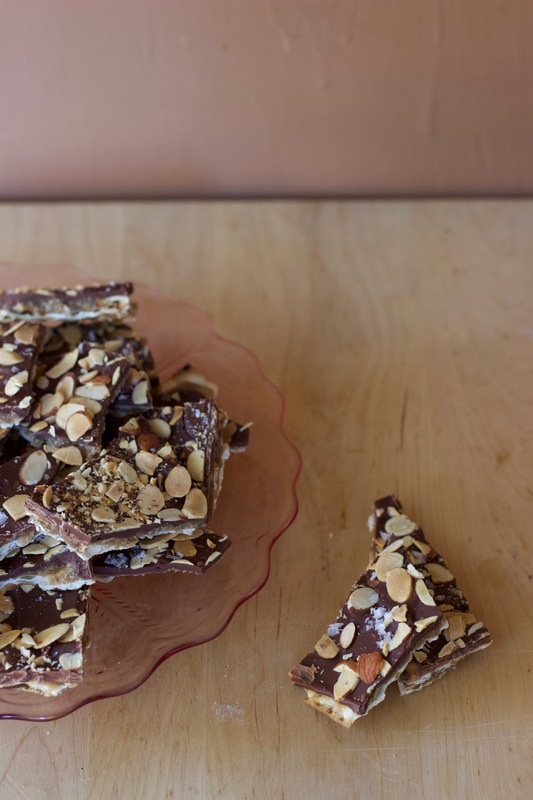 Bake for 10-20 minutes until the toffee has a nice shiny look to it. Remove from the oven and distribute the chocolate chips over the top evenly. Tent with foil and allow to sit for about 20 minutes. 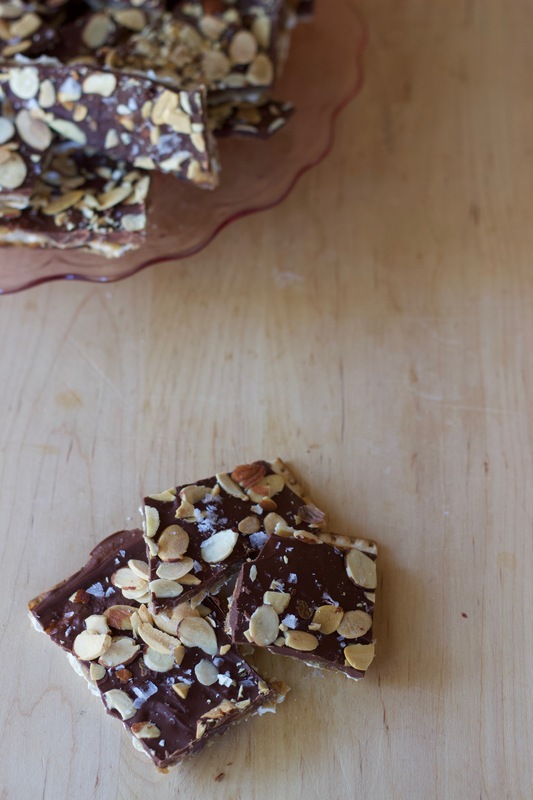 Then use an offset spatula to spread the chocolate over evenly, and sprinkle with the almonds and sea salt. Allow to firm up in the refrigerator for about 2 hours, then break apart to serve. I find pretty much anything to do with bread and dough making/baking fascinating. Passover requires avoiding chemetz, or fermented grains. It is stated that when making Matzo, the dough mixing/baking process cannot exceed 18 minutes or it will be considered a fermented dough. Crazy right? Well, since I’m not all that Jewish religiously (I just like the food and fun! 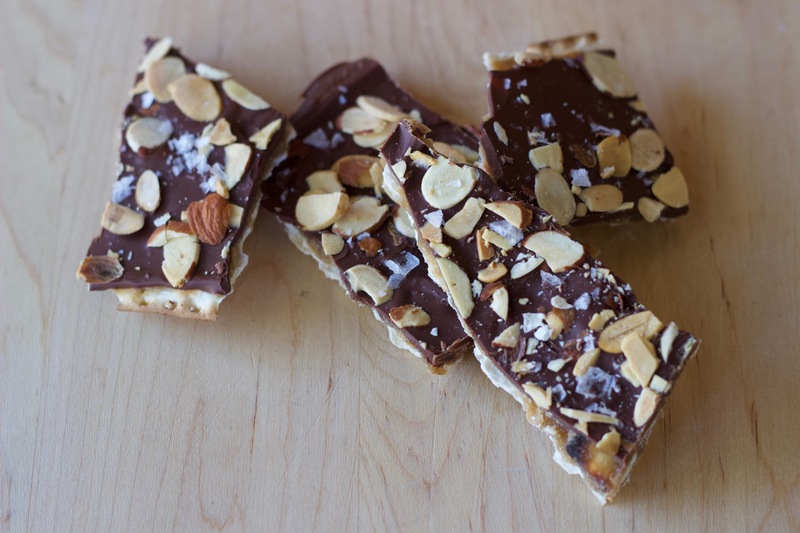 ), I’m gonna be making some non-Passover approved bakes this weekend too. 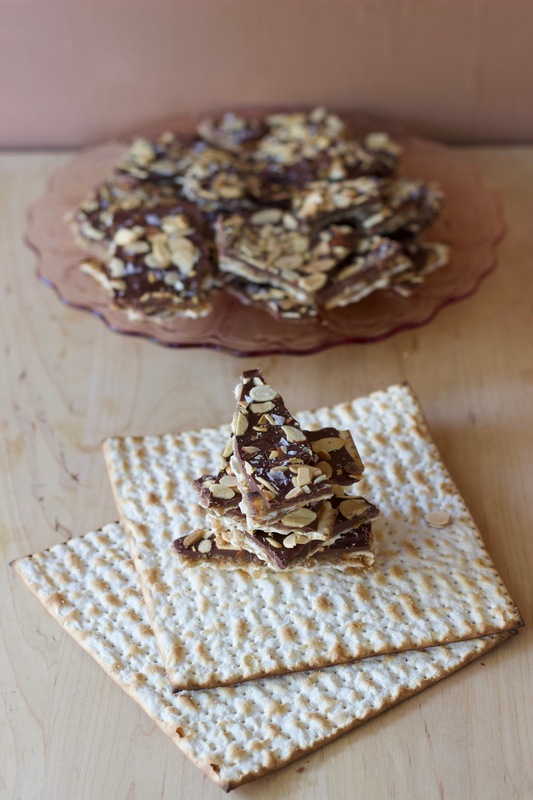 BUT, for any Jewish friends out there that need a Passover friendly sweet treat, this toffee is for you!